Since I put this product in my July favorites, I don't think there's going to be any kind of surprise at the end of this as to how I feel about it. I LOVE IT. Honestly, this was probably the most exciting new release that I was looking forward to this season and I was on the look out for it as soon as I heard that it was popping up in drugstores. I managed to find it right away and I've been using it consistently for the last couple of weeks. Keep reading for more of my (overwhelmingly positive) thoughts. 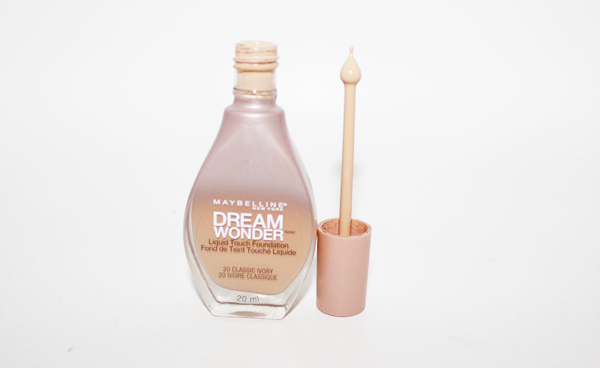 "Maybelline New York Dream Wonder Fluid-Touch Foundation. A flawless revolution for perfection so real it's unreal. 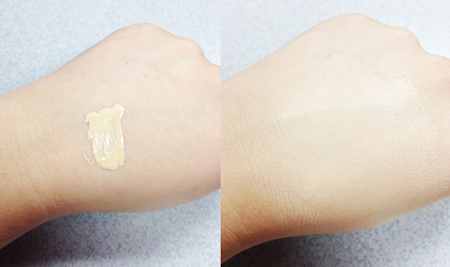 Breakthrough liquid foundation texture fuses with skin. A finish so impeccable, yet undetectable. 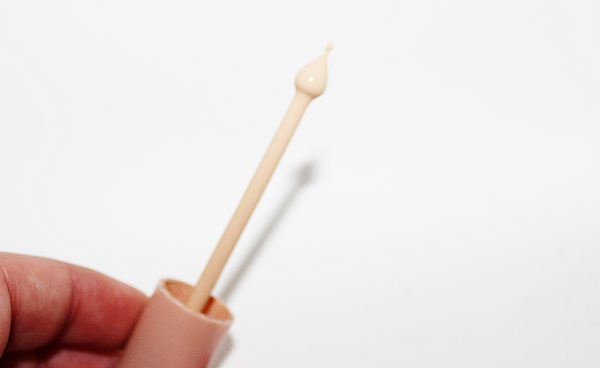 Medium to full coverage liquid foundation, ideal for normal skin. Breakthrough texture fuses with skin. 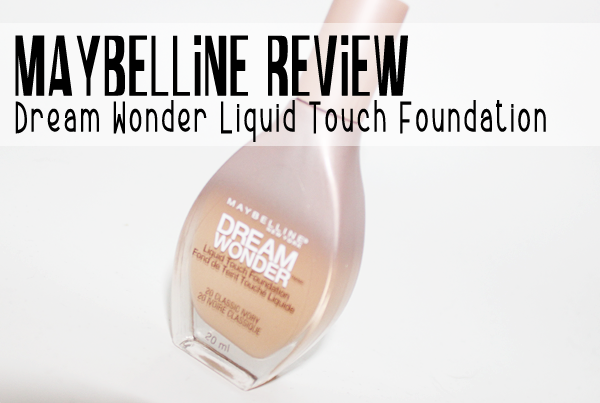 This foundation comes in a small tear drop shaped bottle containing 20ml of product. This is one place where I am slightly disappointed by this product, as with most foundations you receive 30ml of product. However, I feel like a little bit goes a long way with this product. Still, we'll see how long this much smaller bottle lasts. The bottle itself is quite nice. The shape of it is very pretty and it feels like quite solid glass. I'd actually really like to take the labels off and put this on my vanity, because it really is pretty. Am I just a weird person? (I am a weird person, but I'm still not sure how weird I am for really liking the prettiness of makeup packaging.) Anyway, as far as packaging in concerned, I feel like this is on point. Like a lot of people, I don't really get the applicator. Is it kind of interesting? Certainly. When you take off the cap, you find a thin stem with a tear drop shaped applicator on the end. It looks as though it should be some kind of dropper, but it isn't. From what I can tell, it's just a plastic bulb with a small tip on the end. I assume the idea is that you pick up the product like this and let it fall onto the back of your hand. For me, that is inconvenient and I just end up smooshing the foundation right onto each part of my face with the applicator. This, obviously, is not the most sanitary way to apply foundation since you have to put the applicator back into the container. I would say this product definitely loses a point or two for not including a pump. More drugstore brands need to jump on the pump train for all of their foundations. The consistency of this foundation is very thin and liquidy with a silky texture as you blend it out, but it seems to have a good amount of pigment. The description calls it medium to full coverage, but I would definitely say that it is medium buildable coverage. However, I don't think that's a bad thing. I actually really like the coverage of this. With one layer I find that it does quite a good job of evening my complexion without making it look like I'm wearing makeup. I've also built this up with 2 layers and I find you really can get that very flawless finish on the face that a lot of people want when they're using foundation. It takes a little more work but you can get there. I like to blend this with my fingers initially and then just give a quick buff with a brush at the end to make sure it's seamless. The finish on the skin is absolutely beautiful. It feels like a really silky powder as you blend it over the skin and looks natural and perhaps a little bit like you're naturally luminous. When I first started using this, I found wear time to be a bit of a problem. On my summer skin, I found it breaking up and getting really shiny about halfway through the day. However, I added a good primer underneath it and that really improved the wear time. I generally have to add a little powder/blot a little bit of oil about midway through the day with any foundation and this one is no different. I still find that it looks really beautiful on the skin and haven't had any caking of product when I dab on some powder to the T-Zone. After everything I've said, here's the only thing I really needed to say. TRY THIS. It's beautiful and wonderful and probably my new favorite foundation and I absolutely can't wait to see how it dances with my winter skin... because I feel like it's going to be oh so good.